Fine architectural woodworking, specializing in formica and cabinetry. Free estimates. Providing bookkeeping and administrative support to area businesses. Some of the services I provide: A/P; A/R; Bank Account Reconciliation; Collections; Monthly, Quarterly and Annual Financial Reports. Big Chief Entertainment is an Emmy Award-winning creative digital video production and content development company that produces original television series and documentaries as well as commercials, integrated marketing campaigns, branded content, corporate and web videos and promos. 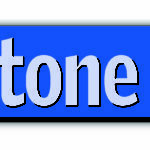 BlueStone Press is a local newspaper covering the Rondout Valley including the towns of Marbletown, Rochester, and Rosendale. Brandinglife is a full-service brand identity design consultancy focused on creating perceptions and relevant brand experiences with our clients’ most important audiences—its customers, prospects, investors, partners, employees and the media. C.H. Energy Group, Inc., parent company of Central Hudson Gas & Electric Corp., providing electric and natural gas utility service to the Mid-Hudson River Valley. A full service Commercial Janitorial Supply and Service company. Fresh fruits and vegetables, baked goods, nursery and bedding plants. Open March through December. 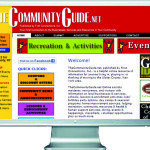 The Ellenville / Wawarsing Chamber of Commerce promotes economic development, tourism, community betterment, legislative action, and programs to make the Town of Wawarsing a better place in which to live and prosper. Flying Change Farm provides riding instruction by certified riding instructor Diane Schoonmaker, owner and operator of the 22 acre facility. Specializes in teaching children and loves teaching adults. Natural Horsemanship based, specializing in building individual confidence. Antiques, Art, Home Decor, Furniture, Silver, Toys and much, much more! We are a non-profit organization dedicated to to enhancing the natural beauty of High Falls and preserving the rich history of our hamlet. 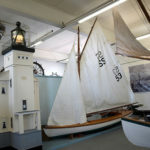 The Hudson River Maritime Museum is a 501(c)3 non-profit organization dedicated to the preservation and interpretation of the maritime history of the Hudson River, its tributaries, and related industries. Our company’s purpose is to sustainably re-develop the former Williams Lake resort as a modern, green resort and residential community. James Lyman Reynolds, Architect, P.C. Johnny on the Spot Disposal Service, Inc.
Septic tanks, grease traps, dry wells pumped and installed. Drain fields installed. Backhoe and trucking. Portable toilets rented. Producer/Project Manager for corporate events, private launches, executive retreats, trade shows. Counseling and Psychotherapy Services specializing in Trauma/abuse, depression/anxiety, self-esteem, relationships, life transitions and communication skill development. “All Pets” Care and home maintenance. The purrfect B&B for kitties providing individual windowed rooms with views of wildlife; clean,secure and no stress. 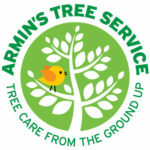 We are the pioneers for pet care in the Hudson Valley and offer the best credentials. 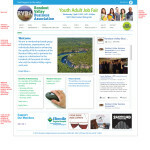 Enhancing the economic and social opportunities of those who work and live in, and those who visit, the Rondout Valley. 41 years of experience creating interior and exterior signs of all types. Vehicle and boat lettering too. Creative graphic design is our specialty. We now offer great prices on promotional imprinted advertising items, from give-aways to corporate gifts. At Sprague and Killeen we’ve embraced all that modern technology has to offer to provide you with professional and efficient insurance service and guidance, yet we haven’t let go of the personal commitment and values that we were founded on. Timothy E. Deschenes, D.C. Offering chiropractic treatment for general health, pain issues, and injuries, utilizing Sacro Occipital Technique and Applied Kinesiology. Where Marbletown turns for information, inspiration and diversion. A fabulous selection of imported and domestic wines and spirits. Over 1,000 wines, Boutique Tequilas, Small Bath Bourbons, Single Malt Scotches, and more. Let us help you plan your special events and holiday parties. We deliver and offer case/quantity discounts. Business Cards – Postcards- Stationary – Invoices – Brochures/Rackcards – Labels/Stamps – Raffle Tickets – Invitations LLarge Format Posters – Engineering Copies – Variable Printing and much more… Many Jobs Done in 24 Hours! A creative photography studio – fixed or mobile – offering professional and family portraits; covering PR events, graduations, weddings. Excavation, site work, septic systems, driveways, roads, dump truck services. Ulster County Tourism promotes more than 1,200 tourism-related properties and attractions in an effort to attract visitors and businesses to the county. 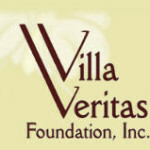 Villa Veritas Foundation, Inc is an inpatient treatment facility that is designed to address the whole person: including their mind, body, and spirit. We take a holistic approach to our drug and alcohol treatment.